Jamie here to share a cute set with you! 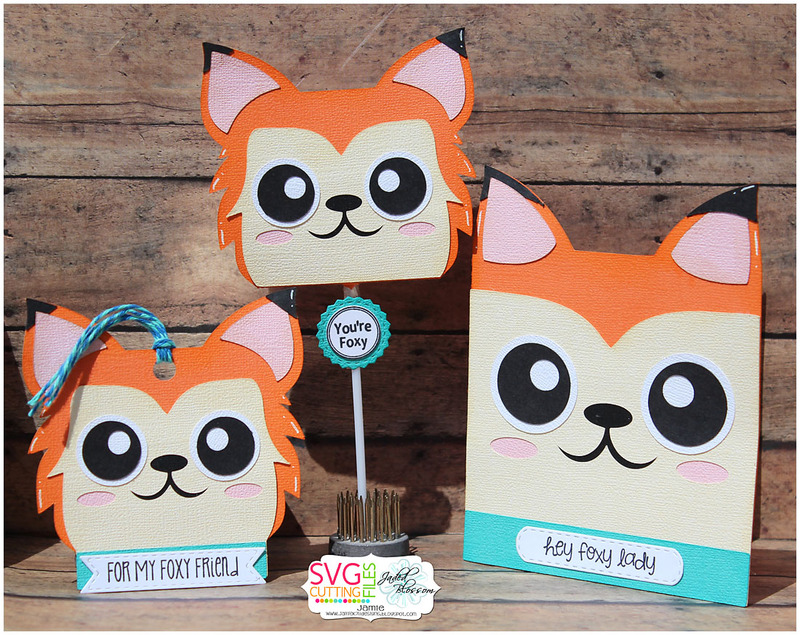 I created this fun set using the new Fox set from SVG Cutting Files! I added a stampe from Forest Animal Candies to a Candy Charm Die to the Lollipop Holder. Then I stamped a sentiment from Foxy and Forest Animals to Mini Tag Dies 2 and added them to the card and tag!